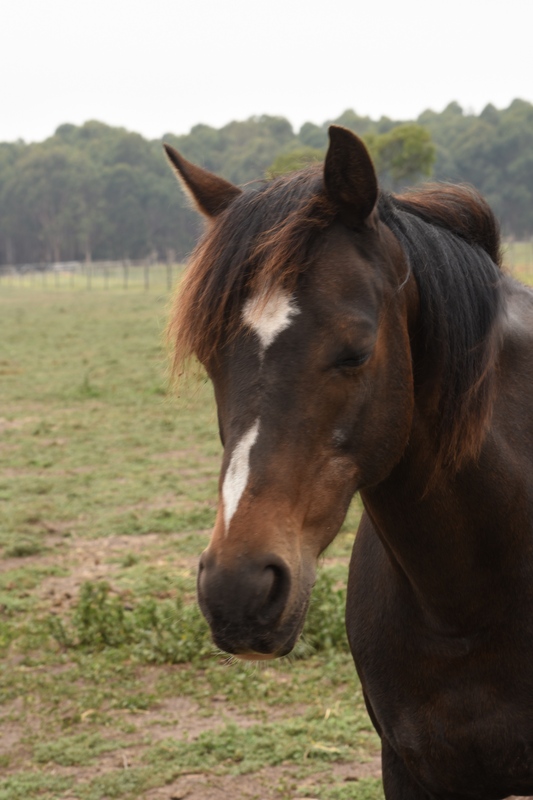 Baeu is our quiet gentle chap who loves his job and is eager to please his riders. He is perfect for building confidence and can take his riders to the next level. Is is gently noth under saddle and on the ground. He loves attention and food. Beau is a 15hh, 14 year old Flea-Bitten Grey Gelding. Rusty is a school master once in a life time pony. He has been there and done that sort of pony and suits riders of all levels from complete beginners to grade 2 pony club. He is so easy going and capable and loves a massage and treats. Rusty is a 13.1hh, 15 year old Bay Roan Gelding. Bridget is the ultimate beginners pony. Bridget loves food and is a super pony for learning the basics in riding. 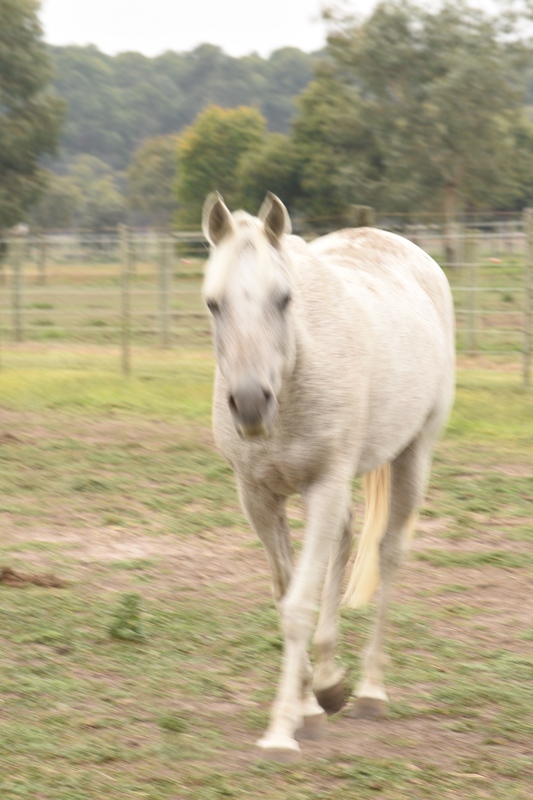 Bridget is a 12.2hh, 13 year old Dapple Grey Mare. Ozzyis an easy pony who is great for riders who love to jump, and can be used for complete beginners and more advanced riders. Don’t let his age fool you because there is plenty of GO in Ozzy. Ozzy loves to be cuddled and fussed over because he is a kind and gentle soul. Ozzy is a 13.3hh, 19 year old Dark Bay Gelding. One of our instructors favorites, Henry is reliable, safe and capable. He is a super all round pony for all levels. Henry loves lucerne hay. 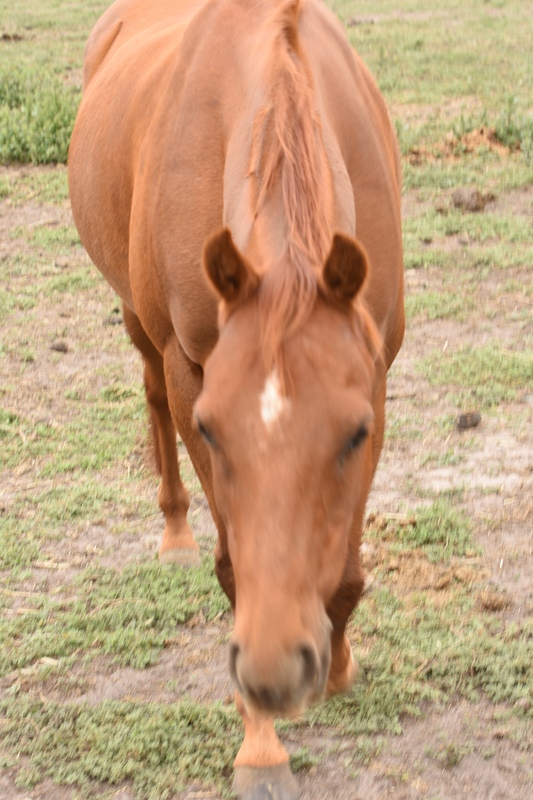 Henry is a 13.1hh, 13 year old Chesnut Gelding. Nim is a cheeky chap who is great for all levels and his specialty is teaching riders to be more effective. He is a chuncky monkey with a belly full of personality. 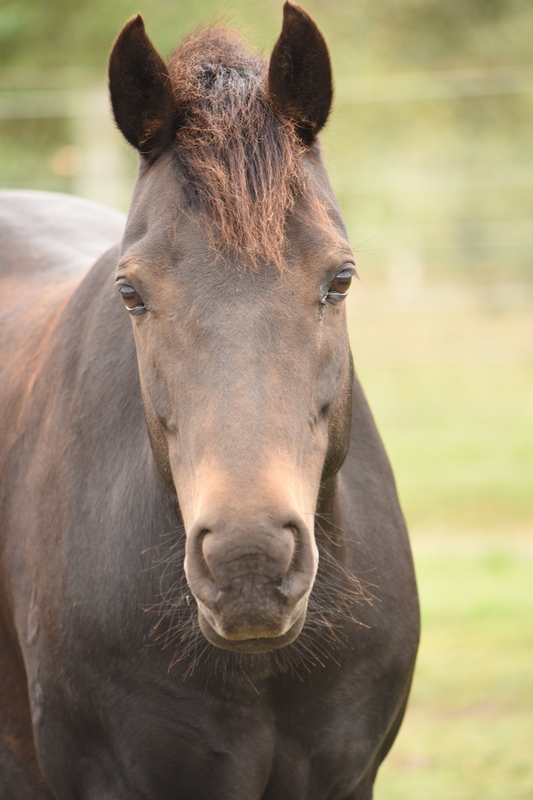 Nim is a 13hh, 9 year old Dark Bay Gelding. Mate is a sweet natured old soul. He has taught so many adults to ride and gain confidence. Mate can do it all from basic lunge lessons to cross country and jumping. He is strong horse with a kind heart. Mate is a 16.1hh, 21 year old Bay Gelding. Moon is the ultimate Barbie horse, he is a gentle sweet natured gelding with a rocking horse like canter. Moon can do it all from Dressage to jumping. Moon is a 15hh, 7 yo Palamino Gelding. Puzzle is good at jumping and games. He is great for our more intermediate riders. He is a smootchy boy who forms solid bonds with some of our riders. Puzzle is a 14.2hh, 9 year old Paint Gelding. Our hypoallergenic horse with curly hair has done it all. 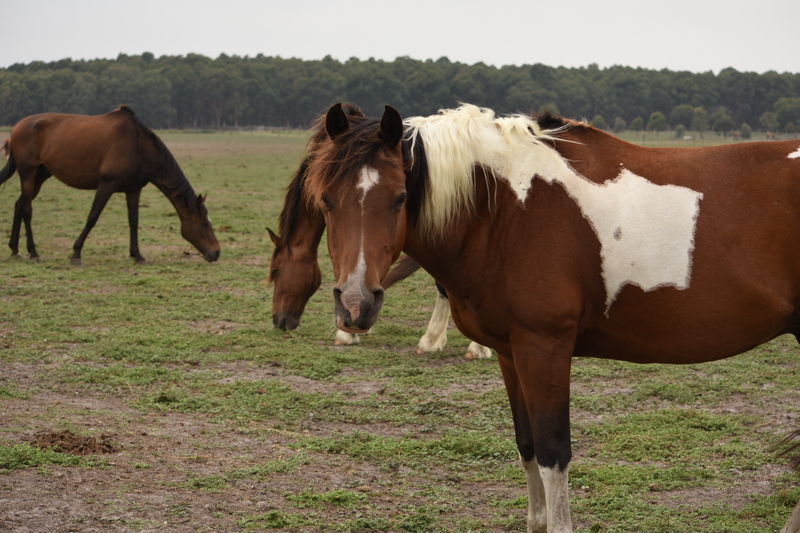 He has been a school master for a long time and now enjoys the quiet rides cruising around the property. Rocco hates the thunder but loves carrots. Rocco is a 15hh, 20 year old Dark Bay Gelding. 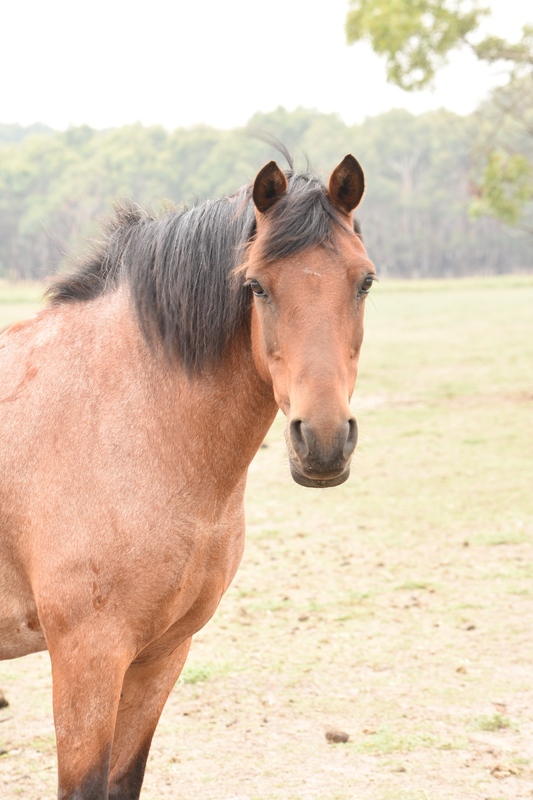 Milo is a sweet natured pony who loves to do it all. He always tries hard for his riders an loves to please. Milo is a 13.2hh, 16 year old Bay Gelding. Teddy is a great lunge lesson pony with stacks of experience. He is an awesome jumper for advanced riders and doesn’t take much to get him going. 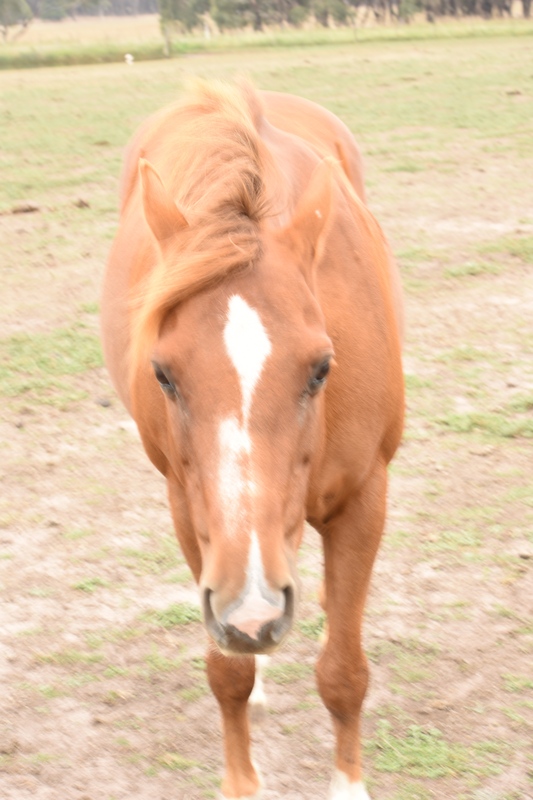 Teddy is a playful in the paddock and loves cross country..
Teddy is a 13hh, 15 year old Chesnut Gelding. Dobby is a gently giant show jumping school master. 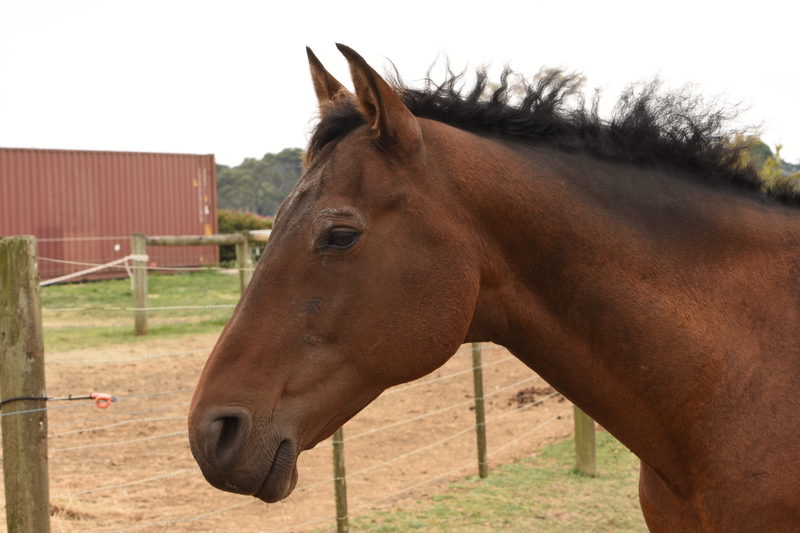 This Australian Warmblood is an easy ride and has competed 120cm show jumping circuit. He is also educated in dressage. Splash is a cute cute, slightly lazy chap. 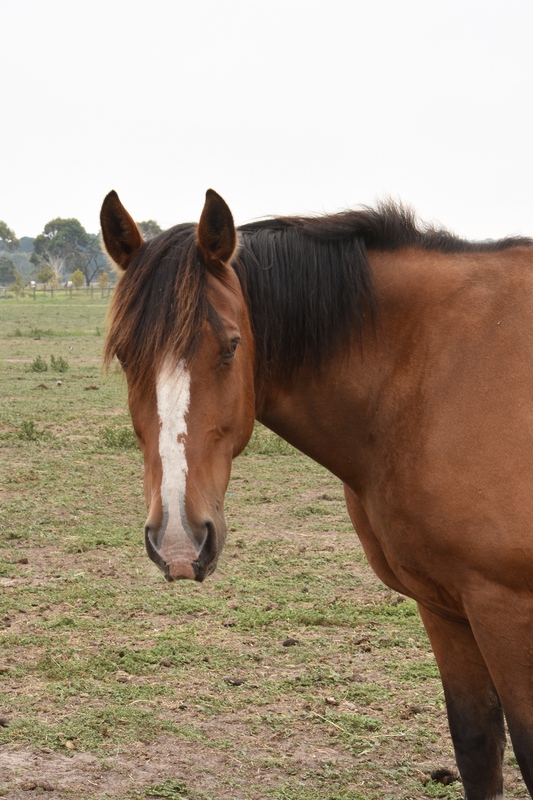 This chunky monkey enjoys riding school life and especially loves his food! Splash is a good all rounder pony. Basil is adorable. Our successful show jumping pony, bringing home many ribbons, is great for the ambitious child. Basil is a forward moving pony that can do it all, and gets lots of attention for his gorgeous looks and attitude. Basil is a 12hh, 11 year old Burnt Bucksin Gelding.